This evening I had to pleasure of reading a blog post about making the most of your time on social media as a social media manager. As most people could attest to, we spend a lot of time on social media. Whether you are just checking your various sites for notifications and new followers or are writing a post or creeping on a cute guy or girl, most of us spend a lot of time staring at our screens. But did you know social media managers do so much more than that?! This blog gives tips on how social media managers can spend less time on social media. It explains that we average about 3 and a half hours a day on social media! Why not try for only a half hour or so instead? In order to shorten the amount of time it takes to go through this list we need to chunk it up to see what we can do at the same time in order to save time. The blog also touches on many other tips and tricks for sifting through social media in only 30 minutes or less. I found this very interesting because it really shows how you can divide up your time in order to achieve the results you want. I could bore you by poorly explaining each tip but I’m sure you would rather read it for yourself! Follow the link below to see more tips and tricks for shortening your time on social media. After reading that blog I really started to think about all of the different ways we can manage our time on social media. 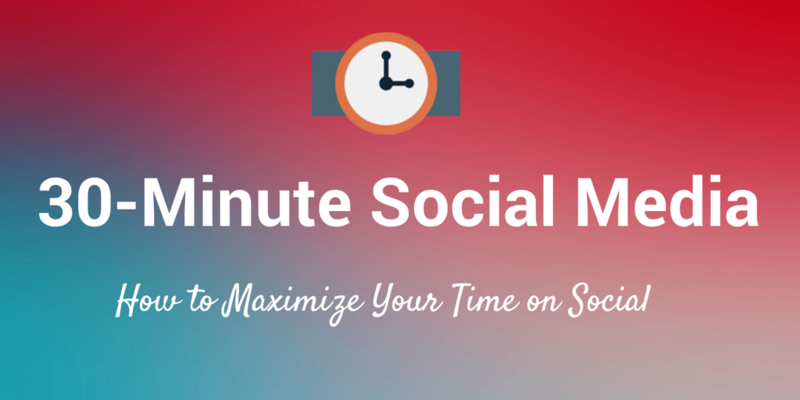 Do you have any other thoughts on how we can maximize our time on social media? Let me know if you think of any ways that are not mentioned in the link provided! Wow, that was a very useful site, especially for people who use social media at a professional level. I interned at Knoebel’s Amusement Resort with the Marketing Department during my undergrad and I experienced the social media jobs that the Public Relations manager had to do. It sure was a lot, but reading this article really made me realize how doable it really is (once you get back to the confusion of all of the information written out for you.) That is all definitely good advice!! That was a great read and I am sending it to a friend of mine who manages his company’s social media accounts. I also feel like this can be applied to personal use of social media to a degree because everyone spends a little too much time on social media.